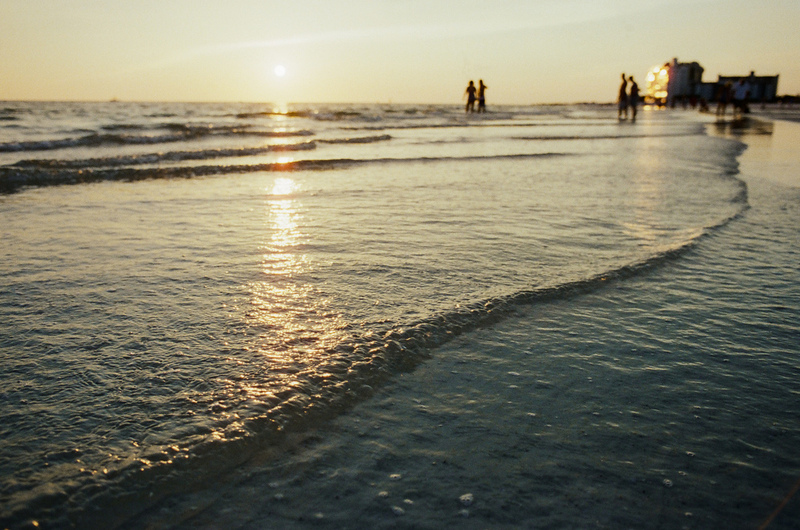 Last week we asked our readers to send us their questions on metering film. We got such a response that we decided to turn it into a weekly series! Question: Do you meter differently on darker, overcast days? Long Answer: I meter using incident metering in all lighting situations. I always shoot my film at box speed and set my meter to the bulb out position. Then I meter for the darkest shadow I can find when shooting color and for the highlights when shooting black and white. I meter this way on cloudy days, sunny days, with window light and with strobes. It's super consistent and super easy!! And I'm all about consistent and easy! Here are a few example of this metering technique in different kinds of light. Here is an example of incident metering (for the shadows) in cloudy, late afternoon light. And here we have an example of what it looks like on a sunny day in mid afternoon light. Here we have incident metering (for the shadows) with indoor window light (southwest exposure). And here it is indoor with studio strobes. All of these images were taken in very different lighting situations, and they were all metered exactly the same: Incident, box speed, bulb out, in the shadows. If you have any other questions on metering, please share them in the comments below or on our Facebook page or the Facebook film forum. And don't forget to get your name on the list for my up coming online workshop! Here's the link. First and foremost, the one thing you can’t do without if you want to nail your film exposure is a handheld light meter. If you don’t have a handheld meter, you must get one now! While some photographer swear by the phone app, I highly recommend that you do not believe the hype. Get a real light meter that is technologically designed and fabricated for the purpose of metering light. The statics have shown that the phone light meter app consistently underexposes images by at least 1/3 stop or more. A used meter is an economical option when you first start on film. It's always a plus when a relative or an old friend who passes down his used light meter. However, please make sure it actually works. The best way to check is to test it out against your DSLR in-camera meter. If you purchased it from eBay or other retailers, make sure they have refund policy for items that doesn’t work as they were advertised. A light meter doesn't have to have all the whistles and bells. A good old working analogue meter works just as well as a brand new digital fancy one that computes light down to .00001% accuracy. One advice from a film workshop instructor (that's me): get one that will fit your purpose. For example, if you shoot with a strobe or a speedlight, you will need one that can also meter for flash. If you purchased a used meter, you can download one online. Read it from cover to cover so you know what the essential buttons are for and where you to find it when you need to use it. Always keep a copy of the user's manual handy just in case you need to look up a particular function. Learning the hows and whys is the ONLY way to understand how and why you should meter differently under any given light. In Embrace the Grain workshop, I devote three full weeks just on teaching how get proper exposure using correct metering through learning to "see" different light. In the brand new online workshop, The Missing Link, which will be launching in Janurary 2016, Sandra Coan will also dedicate a big part of the workshop on metering for indoor natural and studio strobe light. Don't only ask "How did you rate that film?" How film photographer "rate" the film is only a small part in getting the exposure on film. Notice I didn't say "proper" exposure? Rating film is just a tiny part of a huge equation in achieving the proper exposure. There are many other variables that contribute to getting the best image on film. Getting the proper exposure is about understanding the light you are shooting in. It's about knowing the reasoning behind why you should meter a certain way to maximize the characteristic of a particular film. It's about creating a beautiful piece of art with light that is infused with your own style and vision. Some of you may already know, besides teaching Embrace The Grain Workshop online, I also teach Arts and Humanities classes weekly to middle school and high school students. In the class, I teach art and architecture theories and apply them to our study of historic and classic to modern masters such as Michelangelo, Rembrandt, Dali, as well as architectures such as Parthenon, Pantheon, Phoenix Hall, The White House and many more. Seriously, I can geek out on art and architecture all day every day! So naturally, I think it would be fun to share with you what I learned about arts, and how I apply what I learned in my photography work. Since the beginning of times, people have been making and creating arts. Whether it's on a wall in a cave or on a piece of stretched canvas, the basic components of art are the same: Subject, Form and Content. 1. Subject - The "Who" or "What"
The main subject of a photograph can be a person, an object, a theme or an idea. When we photograph our children at play, the subject of that image is pretty obvious, the children. However, the subject can also be an unrecognizable object that the photographer use to represent an idea instead of a thing. Regardless of the genre of photography, a photograph can not be complete without a subject, and it can not interpreted based on the subject alone but with the purpose the subject serves in a photograph as a whole. 2. Form - The "How"
In the components of a photography, the word "Form" is refer to how the composition is arranged and organized in a photograph. Beside the basic rules of thirds, golden ratio and golden triangle, the form component also includes elements of art (line, shape, form, color, texture, value and space) and principles of art (pattern, rhythm, movement, balance, unity, contrast and emphasis). The photographer's choices of elements and how he/she arranges them (principles) "forms" how we perceive the subject (or an idea) of a photograph. 3. Content - The "Why"
The content is the message that the artist or the photographer is trying to communicate with the viewer. It can simply be a statement, but it can also be an emotion, an expression or a mood. Surely, it would be ideal if the viewer interprets the content of a photograph as the photographer had intended to communicate. However, with the vastly different cultural and experience differences will often affect how a viewer "sees" a photograph. Naturally, people tend to relate to contents that are familiar and recognizable. A successful photograph should be able to combine all 3 components (subject, form and content) seamlessly so that the components can not be separated or be interpreted apart from each other. This unity of the components should contain nothing that's distracting or unnecessary. Just like a well made automobile, all parts must work together and without void to operate properly and without fail. Let's look at our own work today with an critical eye, are you successfully using all 3 components in your work? Reference: Ocvirk, Otto G. "Introduction." Art Fundamentals: Theory and Practice. 11th ed. New York: McGraw-Hill Higher Education, 2009. 10-12. Print. Are you new to film photography? Little Bellows is a great resource where you will find what you need to get started. Today, let's talk a little bit about what are the best beginner color film stock. If you are a beginner to the wonderful world of photography, my recommendation for you is start with the film stocks that have the widest latitude. What does "widest latitude" mean? It simply means that the film stock is very forgiving when it comes to exposure. As you start out shooting film, getting consistent exposure is quite difficult. There is no LCD on the back of the camera to check on histogram. You probably feel that you are "taking a leap on faith", or shooting "blind". The film stocks I always recommend for beginner film shooters are Kodak Portra 400 or Fuji 400h Pro. These are great stocks that are will give you ample elbow room in getting that good image on your first tries. These stocks can handle up to 2 stops of underexposure so that if you accidentally make a mistake in metering for the film, the images should still come out nicely. Besides, these stocks are great at pushing 1 to 2 stops during process. Come meet me and Sandra this year at Click Away 2015 San Antonio. It's the biggest women photographer conference of the year! I am teaching two introductory outdoor film classes, and Sandra is teaching two indoor film classes. In addition, we each leading a Golden Hour sessions at the beautiful Mission San Jose. Don't miss out the perfect opportunity to hang out with your friends and do nothing but shoot, chat and eat (just the few things I love to do) for 3 whole days!! Register now, we can't wait to meet you! Unless you have a great local lab, most likely you will be sending your exposed film to a lab in another city in another state. 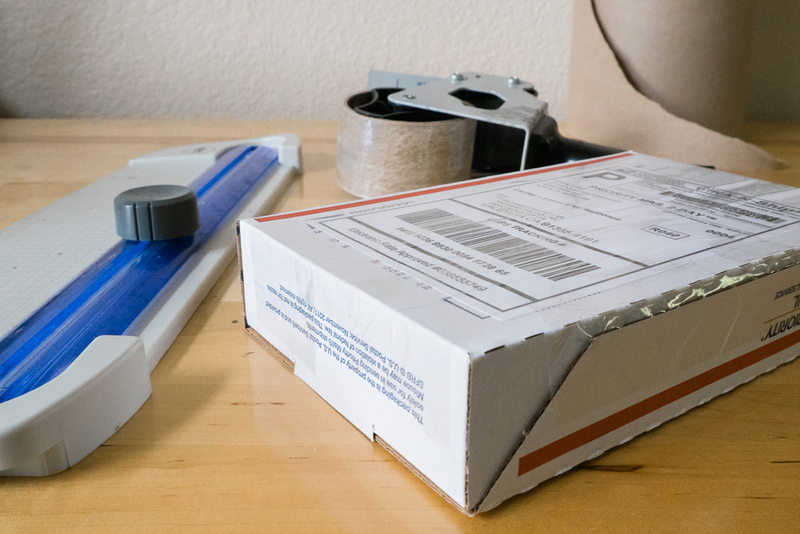 And because I have about 20+ years of experience in packing shipments for USPS, UPS, and FEDEX when I used to own an internet based boutique, I thought I would share some of my tips on how to pack your film. On every film roll, I make sure to write down my name, or at least my first initial and my full last name. I also mark each roll for pushing (push+1, push+2, etc), if needed. I place the film in a tightly sealed Ziploc bags. I usually use separate bags for the normal process rolls and the push process rolls. Make sure that you also push out the air as you seal and to leave as little air in the Ziploc bags as possible. I fill out a separate order from for normal and push process film rolls and place them in the appropriate Ziploc bags along with film rolls. You order form should be filled out completely and legibly. For Richard Photo Lab order forms, I first download a blank copy on my hard drive. Then, I use the PDF software to add my name, shipping address, process information and signatures directly on the form on the computer and save a pre-filled copy. So every time I need to send a film order into the lab, I only have to fill out the film processing information part. I request a pack of 25 Flat Rate Priority Mail Small Box directly from USPS online store. I do not recommend bubble mailers because I have seen so many items destroyed shipped in bubble mailers. Do you know your packages do not get the "white-glove" treatment at the shipping distribution centers? The possibility of your package being stepped on is VERY LIKELY! The possibility that it could fall into a puddle of dirty water is VERY LIKELY! You want to do your own part to make sure that the content of your package is secure and safe from rough handling. If the images on those film rolls are important to you, then choose the best way to ship them. Why take the risk? Besides, the USPS supplies are free! I use craft packing paper I purchased from a packing supply store and wrap the Ziploc bag with film tightly. Use a tape to secure the ends if needed. If you don't have craft packing paper, any paper will do, such as newspaper, grocery store ads, etc. Once the packaged film is placed in the USPS flat rate box, I make sure that any empty space between the film pack and the box is also filled. I simply wad up a piece of paper to fill the space. If you can feel film pack rattling inside when you shake the box, you'd want to add more fillers. USPS box comes with self-sealing strip. However, I don't rely on it to keep my box sealed. I use a packing tape and tape over any box joints to prevent water seeping in during shipping. I print Flat Rate small box shipping label via USPS website with a tracking number at $5.25 and fix the lab on the box. I also use a clear packing tape to cover the label's entire surface. This is to prevent water from destroying the paper label during shipping. You may request a free courier pick up (if it's available in your area) or drop it off at any USPS receptacle or USPS office. Metering. This is a topic I could talk about all day long. It's so important. It can also feel confusing, as there are so many ways to do it! Today I'm going to show you how I meter when shooting with window light to create that light airy look I love! To see how I meter when using strobes, visit this post. And for more information on hand held meters and what to look for when buying one for yourself, click here. Captured with a Contax 645 and Portra 800. Processed and scanned by Richard Photo Lab. Since we are on the topic of Metering and Rating film last week, I thought it is essential that we also cover the different metering modes. Most of the film cameras we purchase or ones that were past down from parents or grandparents are missing one very important piece of information: User's Manual. If you don't have a User's Manual for your film camera, please google it online and download a copy. It will save you so much time! Yes I know, you just want to dive right in and load some film. And what's so different between an old Nikon film camera from DSLR anyways? The old film camera has a meter that works just like my brand new Nikon 4Ds, doesn't it? What I love about shooting film is that each film stock has it's own personality; a unique way of seeing light and interpreting color. When you know your stocks, you can make choices on what to shoot to achieve your style and vision. It's like choosing to paint with oils or water colors! So cool! Today I'm talking about two of my favorite films, Fuji 400h and Portra 400. As you can see from the examples below, both film stocks have an amazing range. The difference is in tone. As always, I'd love to hear from you. Leave your comments or questions in the comment space below, or on out Facebook page. And don't forget to sign up for out newsletter!! Which Handheld Light Meter Should I Buy? 1. Do you have a meter that actually WORKS in ALL light situations? A meter needs to be able to read the light ACCURATELY, including in tough lighting situations such as high contrast light and back light. It needs to be able to function like it is intended to be: measuring incident light and/or reflected light. 2. Do you have a meter that has all of the basic functions that YOU need? Buying a meter is like buying a car. You can buy a car with a manual window crank with no A/C or a car with seat warmers and backup cameras, both will get you from point A to point B. Although it might be more posh traveling in a luxury car, it will still get you the same end result: your destination. So start at the basic function of a meter, incident metering, and go from there. Figure out which function you must have and which you can do without is the key to selecting the perfect one. 3. Do you want to STOP wasting your hard-earned money? Let's face it, shooting film is EXPENSIVE! The processing fee, the scanning fee, the shipping cost and the film cost all add up quickly. You are spending at least $20 to $30 per roll!! This is why consistency is a priority when you are shooting film. Consistency comes from accurate metering. That's it! Nope, I am not tricking you. It is really that simple. It will cost you at least $50 up-front though, and what does this $50 mean to YOU? I can tell you what it means to ME. It means that spending $50 buying a proper meter is the same amount of of money that I would have wasted on processing and scanning TWO rolls of underexposed scans that turn my stomach. If you answered "YES" to all of the questions I asked above, then you need, and you MUST have a handheld meter now. Use your common sense! "Free" doesn't always mean it is better. A handheld meter should your film camera's best friend. These two should be two peas in a pod. If you have a film camera in your hands, you should have its sidekick, the handheld meter, somewhere close and ready to jump into action! Now, stop wasting money on scans that make you go "ewwww". GET A HANDHELD METER! Pushing film seems to be one of the topics that comes up often, both in the Little Bellows Facebook Forum as well as in my Embrace the Grain Workshop. In my workshop, I dedicate one whole week on pulling and pushing process. My students get to learn what these processes mean and how they affect your final image. We even get to talk to Belinda Olsen from The FIND Lab during one of the live office hours so we can understand everything from the lab's point of view. When you expose a frame in your camera using shutter speed and aperture, you are creating a latent image on the negative that has potential for density. During the developing process, the latent image gains density in proportion to the sensitization by the exposure. When you look at your negatives, the part that's the darkest is the most dense, and the part that's the lightest is the least dense. Therefore, the highlight is denser than the shadows on a negative. So what does pushing have anything to do with this? What is pushing? Pushing is overdeveloping an exposed film by submerging it in a developer or the chemical bath longer than a specific time given for that film speed. As the above visual aid showed us, the higher zones progressively get denser as the development time increases, and the lower zones are less affected by over-development. With the larger expansion between highlight and shadow, we say pushing in development results in higher contrast in an image. Now that you know what pushing film is and how it affect the characteristic of the film, you should understand that when you "push" film, you do NOT "add exposure" to your film: the negative was already exposed to the amount of the light that was determined by the camera settings (Shutter Speed and Aperture). The exposure was already made. The overexposure or underexposure was done in camera even before the pushing process begins. When you rate a 400 speed film at 800 ISO, you are essentially underexposing your film by one stop. This underexposure is done when you click the shutter release to take a picture. There is no further work you can do to add "more light" or "more exposure" to a frame that has been exposed. However, you can compensate this underexposure by over-development or pushing to increase the density of the negative. Based on the visual example above, the lower zones such as zone 3 and below do not get affected by over-developing as much as the higher zones such as zone 4 and above. Thus, the more time the film is submerged in the developer, the more contrast you will get in your final image: the higher zones get denser while the lower zones are barely changed throughout. I hope this helps explain how pushing film works. If you have any question, you are welcome to join me in Little Bellow Facebook Forum to learn more about the art of shooting film! SOLD OUT! Registration for Joyce's online Intro to Film Workshop, Embrace The Grain, starts today at 9:00 am Central Daylight Time. Don't miss this opportunity to learn from the bests in film photography! A major business goal of mine this year is to be able to shoot family sessions with film 100% of the time this Fall. I am so completely hooked on everything about film – from the tonal range, the luminosity, the depth of field, the highlight retention, to the creamy skin tones! A huge part of getting a consistent ‘look’ with film, besides picking one lab to work with, is choosing your go-to film. Different films render colors, highlights and shadows in different ways. I’ve narrowed down my favorite outdoor film for shooting in Seattle (which tends to have blue/green light almost all the time) as gorgeous Portra 800. I had been asking around how I should rate this in a full-sun situation. Some filmies said box speed, some said 640, some swore by 400, and a few even said 200! Feeling a bit overwhelmed, I decided to do my own test. I recruited my amazing, beautiful friend to be my model one sunny day at noon. Look at how forgiving Portra 800 is! I was blown away when I saw the results. I really thought I would see more differences since rating at 200 is already two stops over box speed. I am also amazed at how well a good lab can make your scans look consistent, even when rated differently. There is a 4-stop difference between the p800 rated at 800, shot at f2.8 @ 1000 vs. p800 rated at 200, shot at f2.8 @ 250! So develop a relationship with, and love your lab. Please see my straight-scan comparison I added at the end of the post. I’m still quite surprised to see there is not much difference in exposure, colors, or contrast. I can see a difference in skin tone but that may be attributed to the difference in the field used. 640 was taken in an adjacent field with less green. What differences do you see? Which is your favorite? The number one reason photographers stay away from studio strobes is that they fear that they don't understand them. Strobes seem techy and complicated. And if by chance they could get them set up, they wouldn’t even know where to begin. I get it! I used to feel the exact same way. In fact, my lights sat is storage for years for this very reason. But the truth is you already know most of what you need to know about working with strobes. For reals. Contax 645, Fuji 400h, and Strobes. Processed and scanned by Richard Photo Lab. It doesn’t matter whether your source is the sun shining through a window or a bulb shining through a soft box, the same rules apply. So if you already know the basics of working with window light then you already know the basics of working with strobes. Just think of your strobes and soft box as a portable window. 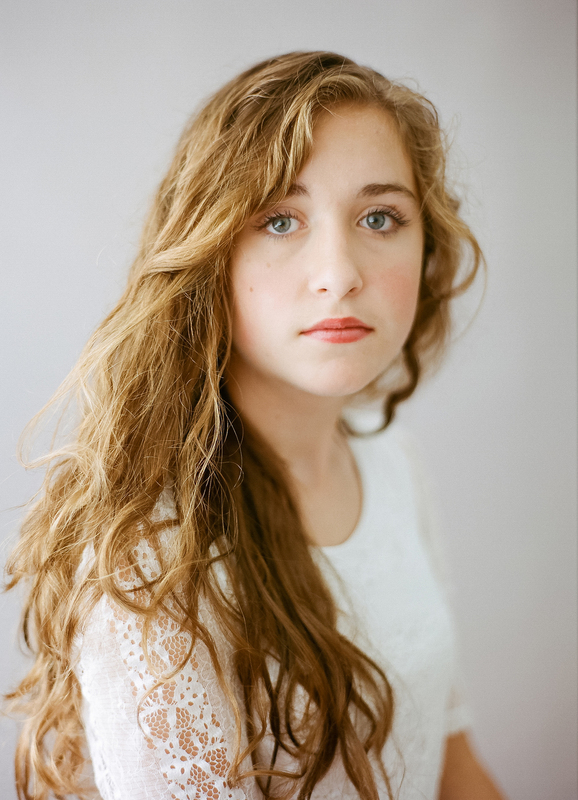 Do you know how to place a subject when working with window light? Then guess what, you know how to do it with a strobe and a soft box too! Do you know how to meter your people when working with window light? Well then guess what, one easy adjustment to your meter and you can do it with a strobe! Does having only one good window in a clients home interfere with the flow of your shoot? Of course not! You do that all the time!! Then guess what, having one light and one soft box won’t hinder you either. In fact, it will be even better because you’ll know that the light coming out of the strobe and soft box will be perfect, consistent light every single time you use it! The only thing new to learn is what equipment to get and how to set it up in a way that will work with your vintage film cameras and create soft, luminous, natural light looking photos each and every time you shoot. And I can’t wait to show you! Sign up here to be on list so that you'll be the first to know when The Missing Link: A Film Photographer's Guide to Studio Strobes is released! And don't forget to share all of your pretty strobe work with us by using the tag #LBstrobes. Most film photographers believe that in order to shoot film 100% of the time they need to shoot outside. They really struggle when the weather turns cold or rainy or when they are asked to photograph a subject indoors. I know this because this is my story too! I’m a photographer in Seattle, WA. Struggling with not enough natural light is my middle name! When I became serious about shooting film I really felt that I only had two options; push my film or go back to my digital camera and embrace hybrid shooting. I really didn't want to go back to my digital camera, so I settled on pushing. I did my homework. I asked questions on all the forums I was on. I was ready! And excited. This was going to work! Woohoo!!! And then the scans came back. Super contrasty. Wonky colors. Not at all like the soft, airy images I was used to. The black and white was a little better, but still not at all the kind of work my clients expected of me. Defeated, I went back to my digital gear. If only I could go back in time and tell myself what I know now. Here's the story, you can shoot film 100% of the time - even inside, even on super dark days. You can create soft, luminous images at every single session regardless of the weather. And you can do it without pushing your film or relying on your digital gear. Over the next couple of weeks I'll be sharing tips on how to get started with studio strobes, so be sure to check back next Thursday! And if you are already giving it a try, share your images with us with by using the tag #LBstrobes! We want to see your beautiful work! And don't forget to SIGN UP FOR MY NEWSLETTER HERE so that you’ll be the first to know when The Missing Link: A Film Photographer's Guide to Studio Strobes is released! Sometimes I think that I missed my calling. I really should have been a scientist. This thought usually comes to me late at night when I'm lying in bed mulling over things. I run experiments in my head. I come up with theories and imagine ways to test them. And then when I finally do drift off to sleep, I dream about my obsessions. My latest obsession has been shooting film with strobes. I think about it all the time. I read about it. I Google it. I even dream about it. It's a little ridiculous. So I decided to run a little test. Five film stocks all shot the with the same light, same backdrop and same subject. And here is the same set up, but with a cream backdrop and again, metered for the shadows. I'll be sharing more film comparisons soon! P.S. Fuji 400h is still my favorite when shooting with strobes! The truth is studio lighting used to totally scare me. My lights sat in the storeroom of my studio for years because I was convinced I didn't know how to use them. Now I know that light is just light, and most of what I needed to know about studio lighting, I already knew from working with natural light. If you can think of our softbox and strobe as just a portable window, studio lighting gets much less scary. Light is light. If you can work with it coming from the sun and through a window, you can work with it coming from a bulb and through a softbox too! The only thing you really need to know is what equipment to get and how to set it up properly to create that "natural light" look. Take a moment to look at the two photos bellow. The top one what shot with window light. The second with my softbox. See how similar the catch lights look?! Love it!! Remember, the shape of your light modifier will effect the shape of your catch lights. Round modifier, round catch lights. Square modifier, square catch lights. Easy peasy! If you like this content, and want more free tips on photography and business, sign up for our newsletter! And if you really want to learn everything there is to know about shooting film inside (in a client’s home or in studio) join us for our workshop Film for the Studio Photographer! After the light meter became readily available in the 1930's, Ansel Adams began to experiment ways to control the images captured on the negative to the end product, the print. The Zone System was developed using shades of gray to control his visualized images through tones and exposure, using the medium gray (standard gray card) as the anchoring point. As a film photographer, The Zone System is one of the first things we need to learn besides the exposure triangle. 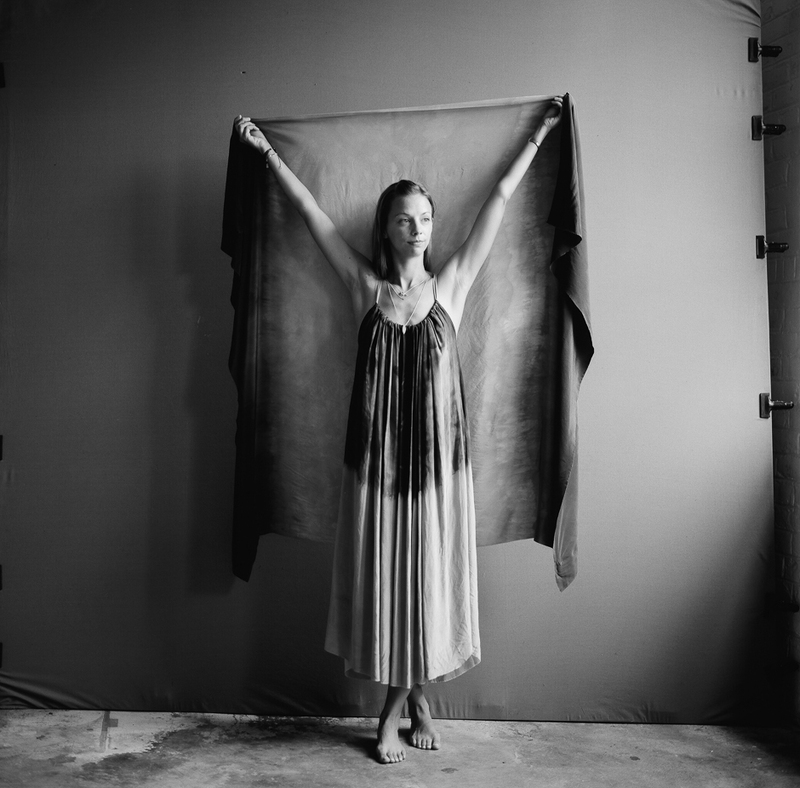 The combination of using a handheld light meter and the knowledge of The Zone System enable us to create the film image we have visualized when we click the shutter button. 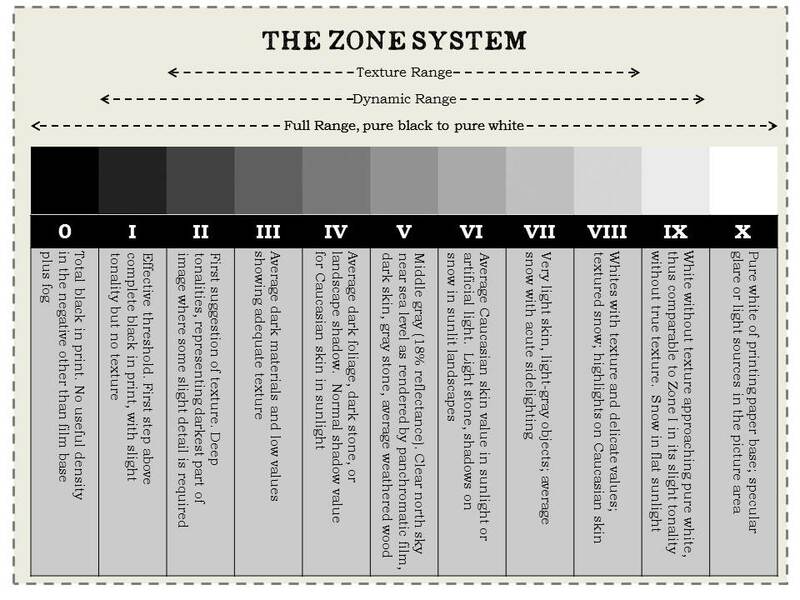 The very first thing I teach in my Embrace The Grain Workshop (an Intro to Film Photography) is The Zone System. I will be talking briefly about how we can use The Zone System for our vision and style a little more in the next few weeks. So I think it would be helpful to show you how each zone of The Zone System is defined using printable tones by Ansel Adam. I am sharing one of the PDFs I have created for my workshop for you all to download. You can print it out and laminate it as a handy reference when you are out and about with your film camera. The Zone System is useful for all types of lighting and perfect for every skin tone. To download your copy, click on the image below. 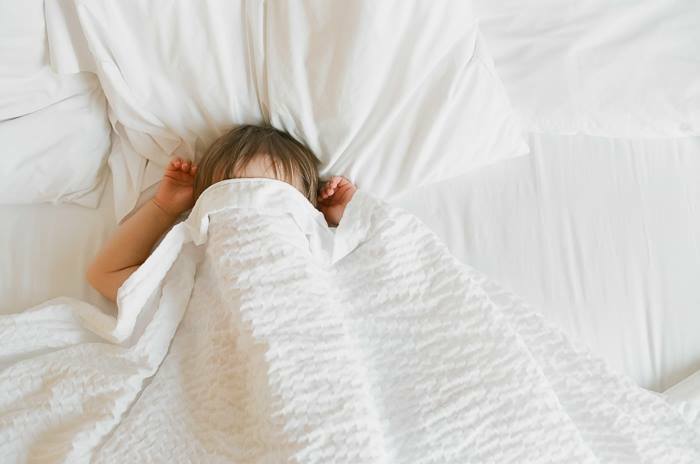 Joyce Kang is a fine art lifestyle children & family photographer in Austin Texas. She is also a mentor and a film workshop instructor for Embrace The Grain. She is married to her best friend and enjoys outdoors with her family. She loves to curl up with a good book and has a terrible addiction to any thing that tops with a heaping scoop of ice cream drizzled with chocolate fudge!